In the early 20th century Frank Marshall was at the top of his game. The U.S. Champion for 27 consecutive years, he was revered as a tactical beast. One game he played so amazingly in, that the spectators showered the board with gold coins! The owner of the Marshall Chess Club, he used it as a home for many of America’s future chess stars to play at. Through all of this, Marshall left a lasting legacy that has stood the test of time. Frank Marshall learned to play chess at the age of 10 and in only 3 years he became one of the best players in Montreal, Canada. He moved to the United States at the age of 19. He won many strong tournaments and had the chance to challenge the current champion, Emanuel Lasker, for the world champion title. Unfortunately, Marshall lost this match by a wide margin and never got the chance to challenge for the title again. He continued to play well in many strong tournaments, using his highly tactical style to defeat his opponents. He opened the doors to the Marshall Chess Club in 1915. 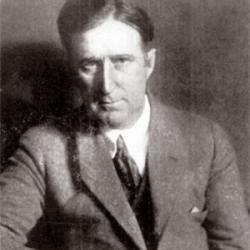 Frank Marshall passed away on November 9, 1944.